The Rebels are cleaning their own ranks and going against their fellow leftists, creating their version of “Purge” while all the while blaming these deaths to the Philippine government. “Political persecution”, the Rebels cry, but in an article written by foreign relations expert Jun Avelino, it is revealed that the revolutionary forces have become problematic as they kept branching off. 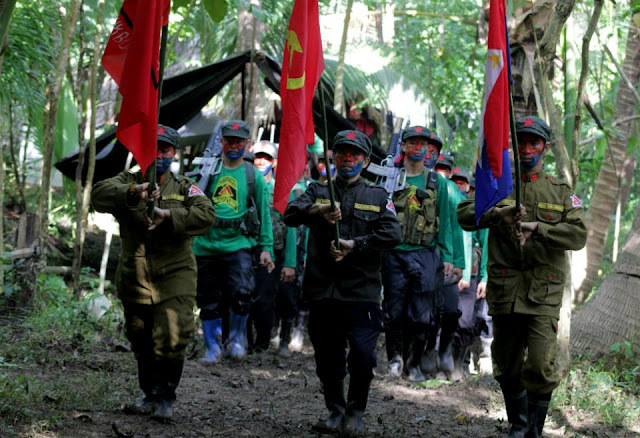 “Thousands of deaths of rebels ensued within the left when the “Purge” was implemented by the CPP to cleanse its organization from counter revolutionary elements. The disturbing thing was that most of these deaths were conveniently charged by the CPP against the government as “political persecution”,” Avelino wrote. The international relations analyst explained the existence of Reaffirmists (RA) and Rejectionists (RJ) with the former following suit with Communist Party of the Philippines Founder Joma Sison and the latter that rejects Sison’s ideology but pursues leftist interests. Among the Rebels themselves are divisive factions owing to the difference in ideologies and strategies, One of the RJ groups identified is the Akbayan of former Congressman Walden Bello, Etta Rosales, Senator Risa Hontiveros, and others. Some RA groups are Bayan Muna of Satur Ocampo, Teddy Casino, Gabriela, Anakpawis, and many others. In the Nueva Ecija case where several members of Akbayan were eliminated, the primary suspects and subject of warrant arrests hail from Bayan Muna, Anakpawis, and Gabriela. For Avelino, this rift is an evident sign of Sison’s lack of hold over the revolutionary force in the Philippines. 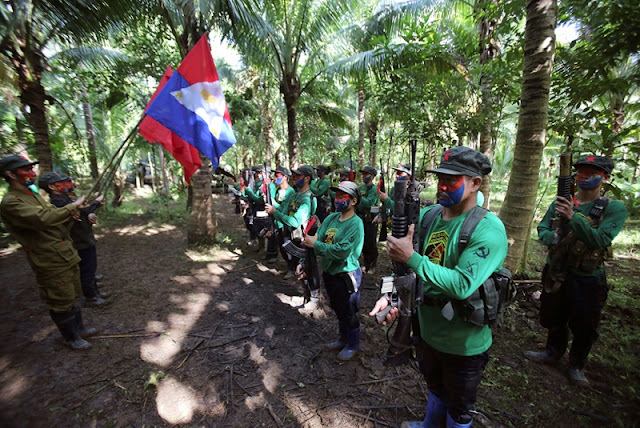 Despite the CPP founder’s interest in pursuing peace talks, other Red groups continue to attack and extort which affects the government’s trust in being able to negotiate with the Reds. “Sison is obviously not in full control of the entire revolutionary forces and the continued proliferation of attacks, killings, extortion, arson and kidnapping of soldiers and even civilians critical to their movement in the countryside initiated by the NPAs despite the on-going peace talks only confirm his dwindling influence over the revolutionary movement’s chain of command,” Avelino said. It is because of these threats and lack of organization amongst the Rebels that Avelino thinks that the government’s move to cancel the peace talks is justified and reasonable. In order to win back the government’s trust the Rebels need to become a more “cohesive force” with a movement that was a “unified direction” especially on matters of peace negotiation. Sison may reason about fearing for his life when coming home, but President Rodrigo Duterte is good on his word. The CPP founder is welcome to come home, however, his fear is not from the President’s nonexistent threat. Avelino writes that Sison has made enemies along the way, even within his Red factions, thus, it had given him enough reason to stay away. “Joma will therefore rather die in the Netherlands and seek to be remembered as a martyr of the Philippine revolution than be killed in the Philippines by his own comrades, painted as a dictator and traitor to the principles of the revolution he himself espoused,” Avelino said. 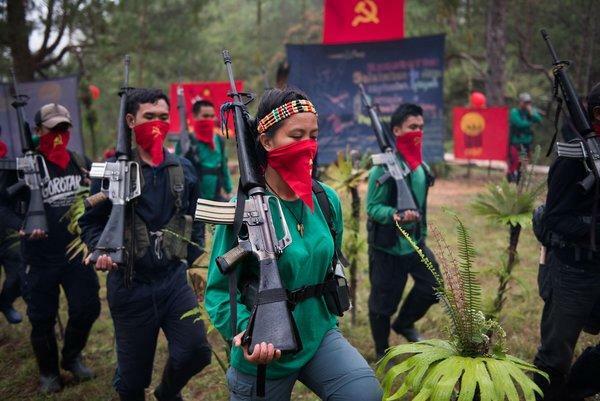 The Filipino people should know that when the government negotiated peace with the CPP/NPA/NDF, it is talking only to one faction within the revolutionary group, particularly, the group of Joma Sison who is based in the Netherlands. But there are those revolutionary members who revolted against Sison which gave birth to another faction within the revolutionary movement. The group of Sison is called the “Reaffirmists” or RAs which basically include those leaders and members who reaffirm their support to the leadership of Sison and embraced the principles contained in the document he issued to “reaffirm our basic principles and rectify errors”, the content of which is better explained in his book called “The Philippine Society and Revolution”. He enjoined the revolutionary forces to continue with the strategy of a protracted people’s war with a view that Philippine society is still semi-feudal and semi-colonial which explains the need for the masses in the countryside to be organized and lead the revolution, similar to the strategy of China’s Mao Tse Tung. Among the RAs, we have Sison and his minions who negotiated with the government and those leaders coming from the Bayan Muna, Gabriela, Anakpawis with prominent names like those whom warrant of arrests have been issued by the Nueva Ecija Regional Trial Court, like Rafael Mariano, Liza Maza, Satur Ocampo, Teddy Casino, for the killing of their fellow leftist leaders from rival group in the early 2000. There are those who challenged the leadership of Sison and disagreed with his directive. They are called the “Rejectionists” or RJs who rejected Sison’s new revolutionary strategy, basically arguing that an armed revolution/insurrection in the cities/urban areas to grab power is in order noting that Philippines should be viewed as a society that has reached the stage of capitalism albeit underdeveloped and backward – a view they shared with Russia’s Leninist revolutionary strategy. Aside from this sharp ideological disagreement, there is that personal level of enmity owing to the authoritarian way of leadership of Sison which brought not only a huge crack within the revolutionary movement but resulted to deaths of its leaders, particularly those who stand on his way. Among those who led the RJs are; Romulo Kintanar, the Chief of the New People’s Army (NPA), Arturo Tabada, of the Revolutionary Proletarian Army (RPA), labor leader Popoy Lagman and many others who were all murdered on instruction of Sison who likewise owned up to the killings, thereby branding those killed as counter revolutionaries. Thousands of deaths of rebels ensued within the left when the “Purge” was implemented by the CPP to cleanse its organization from counter revolutionary elements. The disturbing thing was that most of these deaths were conveniently charged by the CPP against the government as “political persecution”. Sanamagan! In the present scenario, the crack within the reds is more revealing with the on-going rivalry among party list groups or in-fighting among them which gave impetus to the creation of various RJ identified groups like the Akbayan of then Cong. Walden Bello, Etta Rosales, Sen. Risa Hontiveros, et als., with that of the RA identified groups like Bayan Muna of Satur Ocampo, Teddy Casino, Gabriela, Anakpawis, and many more. Didn’t you see folks? All those who died in that Nueva Ecija case were members of Akbayan, a noted Rejectionist (RA) group within the reds and the ones accused who are now the subject of the warrant of arrests are from Bayan Muna, Anakpawis and Gabriela whose leaders are noted Reaffirmists (RAs). Doesn’t this speak volume as to their credibility or lack thereof in talking peace to the government? Try putting both groups in one room and it will be a bloody confrontation. That’s how they hate each other. Sison is obviously not in full control of the entire revolutionary forces and the continued proliferation of attacks, killings, extortion, arson and kidnapping of soldiers and even civilians critical to their movement in the countryside initiated by the NPAs despite the on-going peace talks only confirm his dwindling influence over the revolutionary movement’s chain of command. His demand for a coalition government therefore, does not hold water and would serve only the interest of the elite class of the revolutionary forces while those in the field will continue to hold their ground regardless of whether or not, peace agreement is forged with the Sison group. The decision to abort the peace talk amidst the crack within the left was therefore justified and should remain so until a clear confirmation of their cohesive force and movement’s unified direction regarding peace talk is confirmed by the government. Otherwise, everything is just an exercise of futility and the Filipino people should understand and support President Duterte in this direction. But at the rate things are going, it is not likely to happen soon, not during the lifetime anymore of Joma who is reportedly ill now, and hence, his desperation to forge peace deal with our government. While we respect his ideological conviction as a matter of right and give him a much deserved adulation for introducing communism as an ideology in this country and for launching such 5-century old protracted war which costs tens of thousands Filipino lives, he has, in the process, committed various crimes against the Filipino people for which he should be held accountable for. In this country, when you kill, be it on personal, political, or ideological reason, you have to rot in jail for violating the country's laws. Hence, the warrant of arrests on the Nueva Ecija case notwithstanding the fact that the murder was a result of ideological rivalry within the reds. And indeed, these pests and bunch of criminals should be made to pay for their crimes. But in the name of peace and with the help of Congress, Digong can give Sison a reprieve and live a peaceful life as a productive citizen in this country with or without the peace agreement. Hence, his repeated invitations for Joma to come home and talk peace here in our land. But Joma knows that aside from the political crimes he committed against the government, he has also killed thousands of his comrades in the revolution and there are those revolutionary leaders with axe to grind against him who still continue to survive and are just waiting for the opportune time to exact revenge against their dictatorial leader - Sison. Digong may successfully protect him from being arrested but certainly, he has no control over those NPAs and Rejectionists and those family members of the revolutionary leaders whom he had murdered to settle with him a long overdue moral obligation which can only be paid with his head and blood to quench these people’s cry and thirst for justice. Yes folks, his death will be imminent under the hands of his own comrades in arms not from that of Digong.